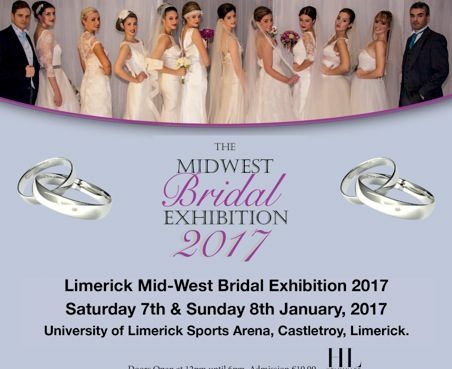 The Mid West Bridal Exhibition 2016 will be held on Saturday, January 7th & Sunday, January 8th, 2017 in the University Sports Arena, Castletroy, Limerick. Doors open at 12pm. Admission is €10. 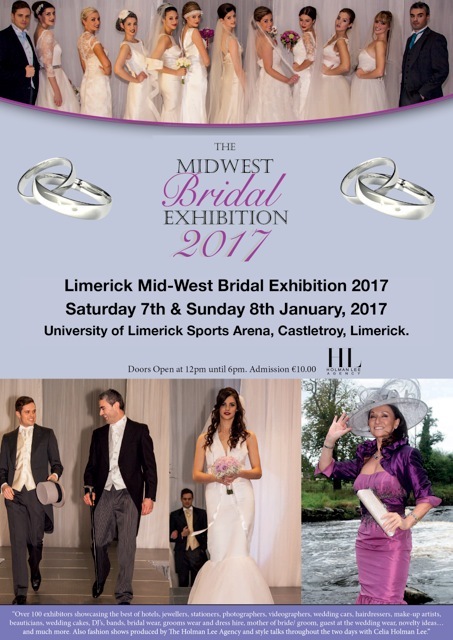 Experience has proven that early January is without a doubt the best time of the year for engaged couples planning their weddings to get the best advice from professionals in the wedding industry.